Malnutrition is one of the major causes of morbidity and mortality among young children in most of the developing countries. To minimize the adversities of malnutrition, low-cost infant supplementary foods have been developed and are being supplied to the needy through state-sponsored nutrition intervention programmers. 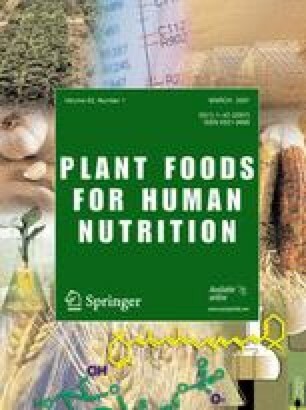 The present study had two objectives: to determine the best combination of nixtamalized extruded quality protein maize (NEMF) and extruded chickpea (ECF) flours for producing a weaning food, and to evaluate the nutritional properties of the optimized NEMF/ECF mixture and the weaning food. The NEMF and ECF were produced applying combinations of extrusion temperature/screw speed of 79.4°C/73.5 rpm, and 150.5°C/190.5 rpm, respectively. Response surface methodology was applied to determine the optimum combination NEMF/ECF; the experimental design generated 11 assays. Mixtures from each assay were evaluated for true protein (TP) and available lysine (AL). Each one of 11 mixtures were used for preparing 11 weaning foods which were sensory evaluated for acceptability (A). The best combination of NEMF/ECF for producing a weaning food was NEMF = 21.2%/ ECF = 78.8 %. This mixture had a global desirability (D) of 0.93; it contained 20.07% proteins (DM), 5.70% lipids (DM), and 71.14% carbohydrates (DM); its essential amino acids (EAA) profile satisfactorily covered the EAA requirements for children 2–5 years old, except for Trp. The weaning food prepared with the optimized mixture had high protein quality and digestibility and could be used to support the growth of infants. This research was supported by the Consejo Estatal de Ciencia y Tecnología – Estado de Sinaloa and Universidad Autónoma de Sinaloa, México.